Can we grant the children their freedom? When I think about my childhood, I remember that I mostly played outside. 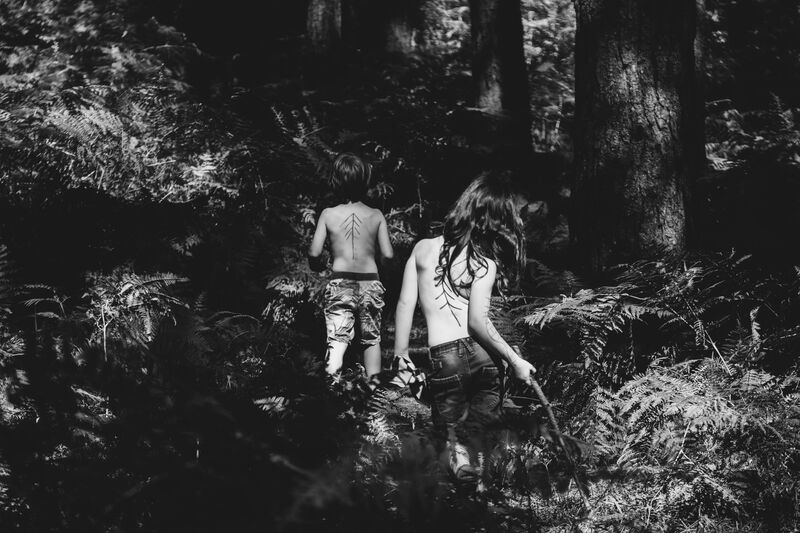 We roamed through bushes, climbed trees, played hide-and-seek between the garages in the courtyard or got over our fears by going on an expedition through old ruins.All of this we never did with any of our parents or grown-ups. It was quite the opposite, we spent most of our time with the neighbor’s children, friends or relatives. We were all of different ages, some older and some younger. We either came home when we were thirsty or hungry, or when the street lights went off. Of course, we were also at times outside with our parents or grandparents, however we had the freedom to not constantly be observed and watched over, which was good as how were we able to test out limits and fears when our parents always watched over us. In order to protect us, our parents or guardians would have never allowed some of the things we did. This aspect of childhood development is something that the neurobiologist Gerald Hüther as well as the pediatrician Herbert Renz Polster wrote about in their book: “Wie Kinder heute wachsen – Natur als Entwicklungsraum“. Nowadays children are always being observed, either in the nursery school or together with their parents on the playground. There are always adults present to protect and guard their children. When do we give children time and space to develop freely without being constantly observed? The following important aspects are pointed out by Gerald Hüther and Herbert Polster Renz 2013):. 99% of the history of mankind was the everyday life cycle, that meaning, a large part of childhood was outside. 50 years ago most children spent their time in self-organised groups of different ages. The outdoor life is still in children’s veins for example, as shown by playing with sticks. Nature is neither too little or overstimulating, it fits exactly to children´s reaction and concentration span. Studies show that children develop some creative games when they play in an unstructured and natural surroundings. A complex environment promotes different competences. Children experience freedom as well as their own boundaries in nature as nature is not interested in our own wishes. Children want to experience different kinds of relationships outdoors, relationships to living nature (trees, animals, plants) as well as unlived (sticks, stones etc). Children need an environment in which their developmental needs (body, soul, social) can be realized as well as strengthened. In a study which was carried between 1970 to 1990, showed that 1/9 of children´s free play and exploration has been decreased. 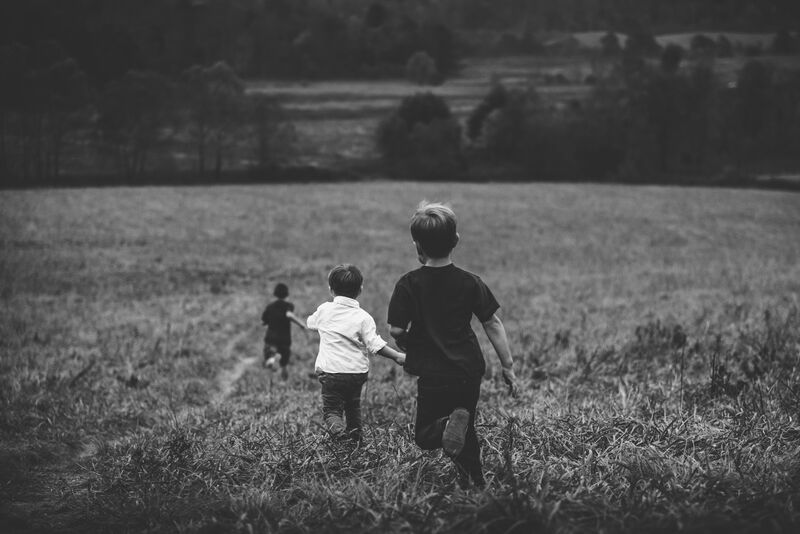 Children that are allowed to run free outside, are less prone to getting hurt as they have to estimate how dangerous something is by taking certain risks. Ulrich Gebhard (1998) even mentioned then, that in children´s exploration and urge to discover things, also destroy plants, such as pulling out flowers or sticks however “nature is able to handle this use”. When I was working as an educator a few years ago, I also thought that children shouldn´t pull out plants in order to protect nature. However, I then came to believe that children should be allowed to experience positive things in nature in which they will later have memories of also valuing and protecting nature as well. In theory, this all of course sounds a lot easier than it is in reality. Often I ask myself how much freedom and trust one should give to children. I often stop, reflect on how I have enjoyed the freedom as a child and could have free play. But as an adult, I am often plagued by fear, such as what if the child gets injured, disappears, runs away, etc. In addition, the social pressure, the different opinions of parents, education facilities, the personal responsibility and knowing all the sort of things that can happen. first and foremost, every basis of trust and supervision is always at the discretion of each person. Everyone must be aware of their own responsibilities. However, it should be noted that our fears are not only projected on our children, but also prevent them from developing their evolutionary games, discovery, exploration which is all suited for their own needs. How should they learn to deal with danger if they are not allowed to know their limits? I also tend to want to protect them, but it is much better when children know themselves what they are capable of. In my work, I have often experienced very fearful colleagues who every second keep an eye out for the children. Of course, I do understand these arguments for example that parents complain about every scratch their child has and that one is under law to supervise the children. They also point out that parents like to give the children this freedom, but we as educators, do not want to take that risk. The problem is that a lot of the children spend most of time in the day-care center and then only have very free time with their parents in which they could pursue their urge for freedom. Since I myself am an educator and not a lawyer, I have come to the following statements from my research. However, it must be pointed out that there is no direct legal basis governing the exact content of the supervision. On the other hand, the legal consequences of a breaking the duty of supervising the children are regulated by law (vgl. Juraforum, 2017). If the duty of supervision is violated, then there are consequences in the civil, criminal or labour law. So, I had hoped that with an understanding of a legal basis for supervision would bring more clarity as well as relaxation so that the pedagogical work could be shown with less anxiety. However, for me personally, there was no such revelation for me. Nevertheless, I would like to try to let the children experience more freedom. As already stated at the beginning, it is in our own judgement and responsibility how much trust and freedom can be given to children. When I think, and reflect back to my adolescence, I survived all the risks that I have experienced as a child without having serious injury or permanent damage. I’ve never lost an eye or someone elses while playing with sticks. I may have had a scratch here or there, or hurt foot, surely many tears have been shed, but in the end I most importantly I have learned about my own limitations, abilities, freedom. I have evolved from these experiences.